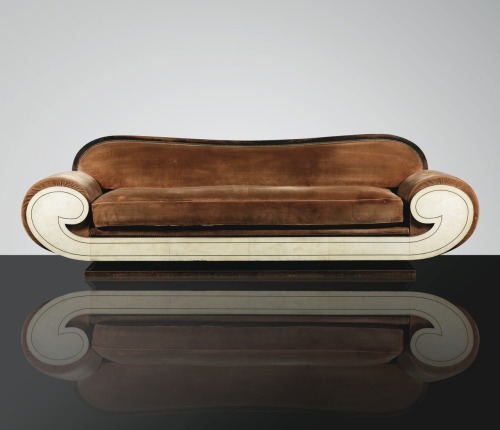 Sotheby’s 20th Century Design sale today includes this sultry caramel velvet canapé from circa 1925. It is stained wood, vellum and brass. The designer is unknown. The estimate: 20,000 - 30,000€. 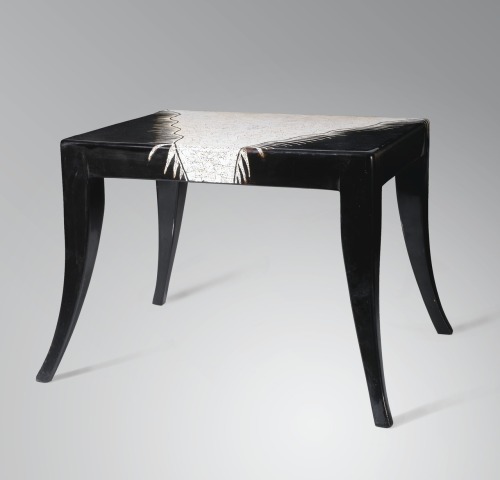 This statement piece needs space to be seen! 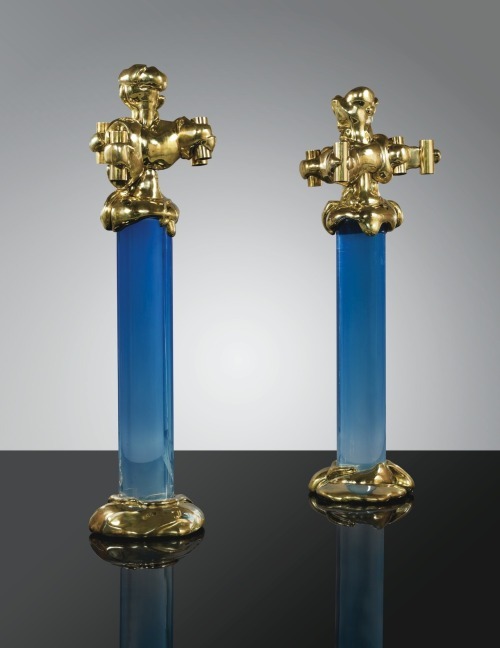 These gilt bronze and blue plexiglass floor lamps are over the top! Designed by César and Jean-Claude Farhi in 1970, they are being sold today at Sotheby’s, Paris for 60,000- 80,000€. Here is an in situ photo of this pair of spectacular lamps. 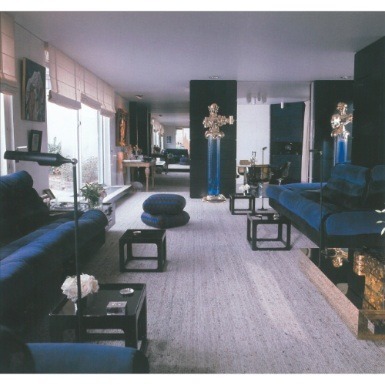 The shocking and flamboyant combination of gilt bronze and blue lucite (at the time known as plexiglass) creates an exciting effect that can serve as a bridge to connect the eclectic pieces found in many contemporary interiors these days. There were eight lamps made in total. They are rarely seen on the market.